This accessory is specifically for the Battery Tender Plus 6 Volt First Generation Charger, and is not compatible with the current versions being sold. Verify your quick disconnect prior to purchasing. The 081-0069-2 cable set comes with a white Molex connector, which is not compatible with the 2 prong SAE quick disconnect that is common for most 12 volt chargers. The cable also has an inline fuse on the positive alligator clip. 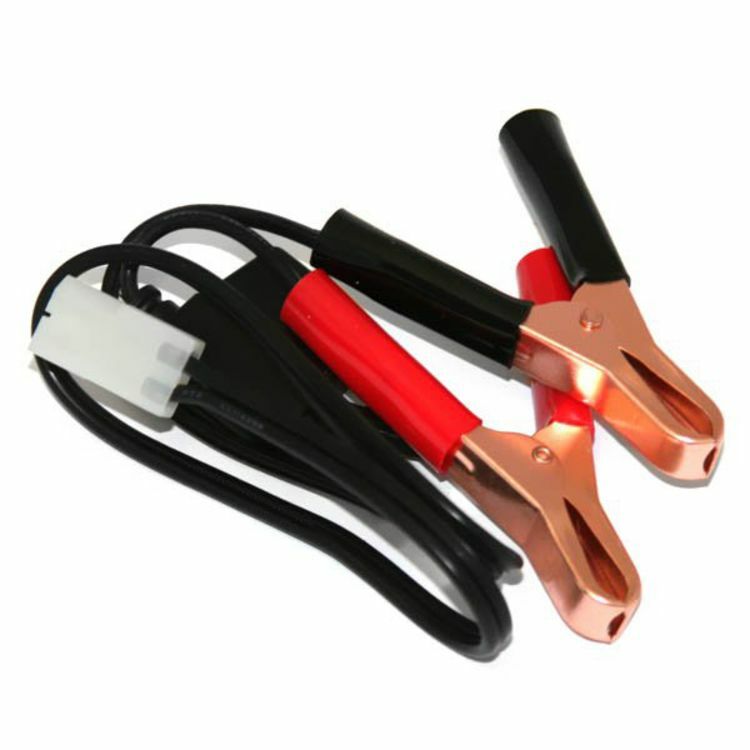 Use these alligator clips as a replacement connector or as an extra set for more than one application. The alligator clip cable set is 18" long. Do you own the 081-0069-2? Please, tell us what you think about it. It helps us provide you with better products. Please note that it may take up to 72 hours for your review to appear.